Jagi is the third of the four Hokuto brothers. Deceptive and evil, Jagi stops at nothing to win and frequently uses dirty tricks during battle. 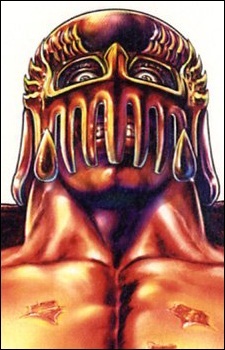 After a botched attempt at killing Kenshiro, he is left with a hideously disfigured head as a reminder of his failure. Consequently, he hides his head by wearing an iron helmet. Harboring a severe hatred for Kenshiro, Jagi deliberately sets into motion a few of the story arcs. After his death, Jagi (quickly forgotten) is usually unaccounted for when the Hokuto Brothers are mentioned.